Starts at 7 p.m., doors open at 6 p.m. 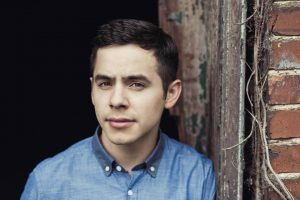 Welcome Platinum-selling pop star vocalist David Archuleta as he makes his debut performance in the Tri-Cities. 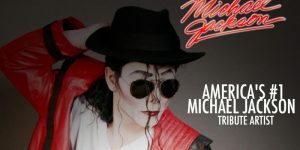 From 7 p.m. – 10 p.m.
Michael Jackson Tribute Show spectacular starring America’s #1 Michael Jackson impersonator Danny Dash Andrews. Be a part of this incredible concert experience that pays tribute to the life and legacy of The King of Pop. A show for all ages, this two hour non stop high energy show will take you on a breathtaking magical musical journey that spans Jackson’s four decade career. Our extraordinary production features state of the art concert lighting and sound that truly captures the essence of Michael Jackson’s worldwide concerts. Tickets: $12, adults and $10, students/seniors, CBC students with a current ASB can attend for free. The house is replete with sliding panels, secret passageways and a German maid who is apparently four different people—all of which figure diabolically in the comic mayhem which follows when the infamous “Slasher” makes his reappearance and strikes again—and again. 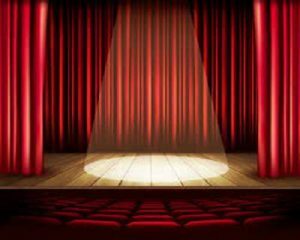 As the composer, lyricist, actors and director prepare their performance, and a blizzard cuts off any possible retreat, bodies start to drop in plain sight, knives spring out of nowhere, masked figures drag their victims behind swiveling bookcases, and accusing fingers point in all directions. However, and with no thanks to the bumbling police inspector who snowshoes in to investigate, the mystery is solved in the nick of time and the “Slasher” unmasked—but not before the audience has been treated to a sidesplitting good time and a generous serving of the author’s biting, satiric, and refreshingly irreverent wit. What is the true nature of war, and how does the experience of war affect the human heart? How have the myths and realities of combat, and the invisible wounds of war, been portrayed over the ages? 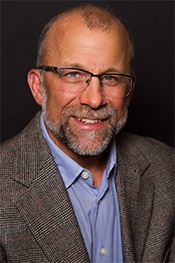 This talk shares stories of the men and women who signed up to serve during the wars in Iraq and Afghanistan, and incorporates experiences and insights from famous writers and philosophers about war and its aftermath. 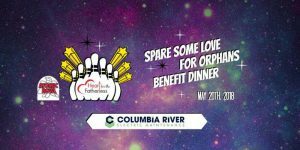 The Columbians Drum and Bugle Corps are hosting their first annual benefit auction to support the growth and sustainability of the corps and to ensure the opportunity’s given to the young musicians in our community! There will be live music, wine and appetizers, silent and raffle auction and so much more! 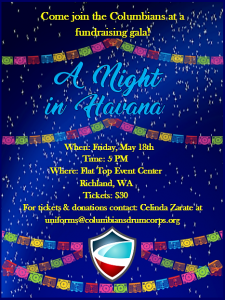 For tickets, email Celinda Zarate at uniforms@columbiansdrumcoprs.org. Contra dances have been a part of 3RFS for a couple of decades. The Contraversatile band from Yakima will be performing and the caller will be Mark Lewis who will also teach the dance moves. 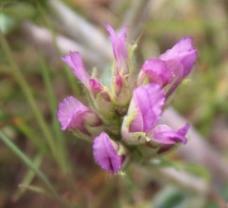 No experience, partner or special clothing will be necessary. 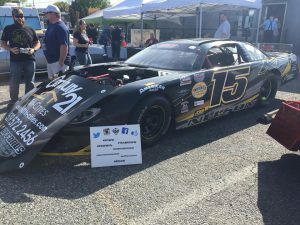 This event is co-sponsored by the City of Pasco. 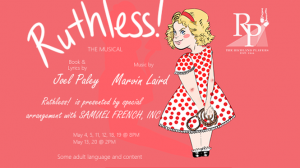 The Richland Players tap up a storm in the Stage Mother of all Musicals in “Ruthless!”, a Musical Farce; Book & Lyrics by Joel Paley, Music by Marvin Laird. The story of a naive 1950s housewife, Judy, and her adorable but sociopath 8-year-old daughter Tina. Encouraged by her manager, Sylvia, Tina will do ANYTHING to get the lead role in her school play “including murdering the leading lady!” In Act II, while Tina spends time at a reform school for psychopathic ingenues, Judy discovers from her adoptive mother that her birth mother was a famous actress. Judy decides that she should be famous as well and becomes a Broadway diva. But it is Tina, who has the last laugh for she is truly “Ruthless!” Some adult language and content, PG-13 equivalent. Registration at 9 a.m., car show from 10 a.m. – 2 p.m.
$20 vehicle registration fee/open to all years/makes/models. 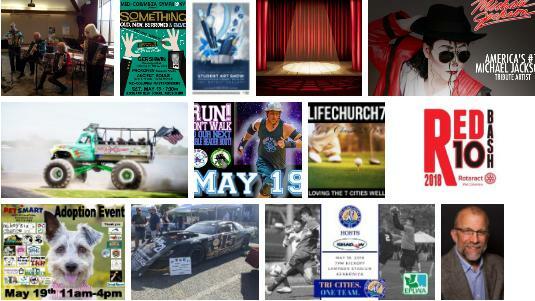 Silent auction, photo booth, lunch available, and trophies awarded. From 11 a.m. – 4 p.m. 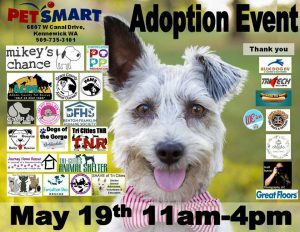 There will be over 100 pets available for adoption including adoptable dogs and cats from Pet Over Population Prevention, and dogs from Wine Country Bullys. Come visit adoptable pets and possibly find a forever friend! From 11 a.m. – 8 p.m. 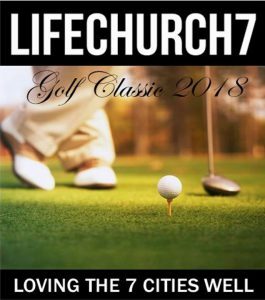 Your involvement in LC7’s Golf Classic 2018 will help support the youth and young adults of LIFECHURCH7. One specific event they will be involved in this year is an outreach to one of the poorest parts of Honduras. The funds raised by your generous support of this golf tournament will help make this trip as well as other important summer camps possible! From 1 p.m. – 4 p.m. Featuring: Prizes, Giveaways, Food, Games and a Beer Garden. Trophies in 5 categories with all proceeds going to http://roww.org/. This will be held in Richland at Barracudas Coffee. From 2 p.m. – 10 p.m.
Come down to John Dam Plaza on May 19 and enjoy a day of delicious Food Trucks, a Life-Size Beer Pong Tournament, Live Music, and Lawn Games. This is a 21 and over event as the entire park will become a beer garden with several local beers on tap! The best part? All proceeds will benefit the Service Peace Warriors, a local non-profit organization which trains service dogs for any American soldier who suffers from PTSD. Service Peace Warriors adopts rescue dogs and trains them to assist veterans with their daily lives, creating a partnership saving the lives of both puppies and veterans. From 4:45 p.m. – 8 p.m.
Atomic City Roller Girls is a women’s roller derby league. 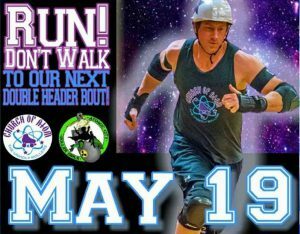 Join them for action in the their Doubleheader Home Bout! Join us May 19th as we kick off our home slate of matches! We will be taking on the Spokane Shadow in an Evergreen Premier League match-up of two Columbia Division rivals. 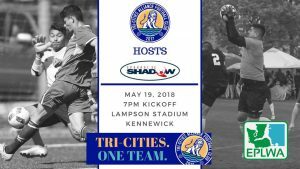 This is a crucial match in determining the winner of the SWX Eastern Premier Cup trophy winner (awarded by SWX Right Now to the top team in the EPLWA Columbia division). Last concert of the spectacular 2017-2018 season! 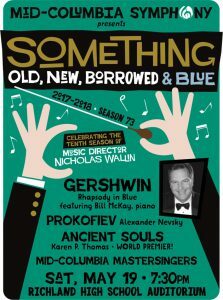 Featuring Bill McKay reprising his 2003 performance of Rhapsody in Blue, a premiere of a commissioned work by Karen Thomas, and the Mid-Columbia Mastersingers joining the orchestra and soloist Abigail Wright for Prokofiev’s rousing Alexander Nevsky. – Sunday from 11 a.m. – 3:30 p.m.
Kidz Dig Rigz is a unique, two day family-friendly event in which kids of all ages can get up close and personal with all types of Rigz such as tractors, fire trucks, tanks and more! 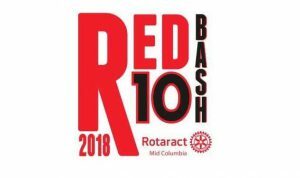 Child-friendly entertainment will include monster truck rides, tractor ride-and-drives, car crusher in action presentation, bouncy houses, face-painting, and much more. Various food concession vendors will be present and visits can be expected from many local favorite mascots and Super Heroes! 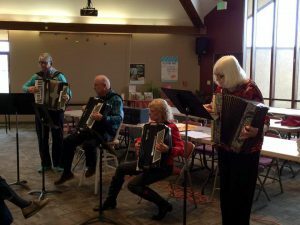 Diane Young, an accordion teacher with Accordion Music Tri-Cities, will perform songs that she will performing at the upcoming Leavenworth Accordion Celebration in June. From 4:00 p.m. – 9:00 p.m.
Heart For the Fatherless’s annual fundraiser will be an interactive dinner event. 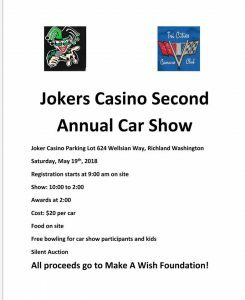 We will have Appetizers, Dinner, Bowling, Arcade Play, Journey of the Heart Activity, Raffles, and a Silent and Live Auction along with some other fun activities. Come join us for a super fun date night and help us continue to serve and support local adoptive and foster families! Monday-Thursday from 8 a.m. – 8:30 p.m. The Student Art Show is a fantastic opportunity for the college campus, and larger community, to gather and celebrate the talent of CBC students and showcase the skills that have been developed through classroom curriculum. The selected student work will feature an impressive variety of media. Outstanding work will be selected in the categories of 2-D design, 3-D design, digital design, painting, drawing, illustration, photography, sculpture, and ceramics. Other awards include the Dean’s Award, Faculty Award, Juror’s Award, CBC Foundation Purchase Awards, Gallery Purchase Awards, and ASCBC Purchase Awards. DrewBoy Creative showcases rising star Ashleigh Rogers in her first solo show. Winner of the People’s Choice and Gold awards at this year’s Yellow Show, Rogers brings her unique portraits to DrewBoy Creative this May. May 18: Secret Lives of Stars at 7 p.m. and Oasis In Space at 8 p.m.
May 19: Dynamic Earth at 2 p.m. and Black Holes: the Other Side of Infinity at 3 p.m.